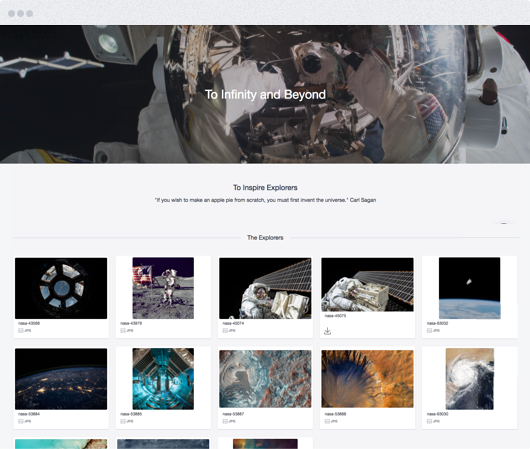 Further customize how users interact with Collections. Storytelling is your job. We want to make that job easier, and that’s why we created Collections. They allow for rich presentation of your assets and more effective storytelling. We like to think that everyone can use Collections to help their teams more effectively curate, collaborate, and communicate. Here are some use cases that fit incredibly well with Collections and can be used by teams of nearly any size or makeup. Sales reps have regularly used traditional presentation programs to make presentations for customer meetings. That method works well for a lot of things but for visually-stimulating presentations it often falls flat. Utilizing a Collection Theme, sales presentations can take on new life and also be much easier to create and update. Collections can act as an easy to create edit webpages for your brand’s media coverage. Your company may receive a lot of media coverage and constantly rebuilding your main website pages is too much work, or you may want to limit coverage to only recent news or news on a particular product or aspect of your company. You can use Collections to make quick webpages and share with customers, partners, or the press. There’s no need to take time away from your web team, users with any skill level can quickly make mini-webpages with Collections. Updating the Collection can be done at the fly, just like any other action in Image Relay, and all your Collection followers will stay up to date. 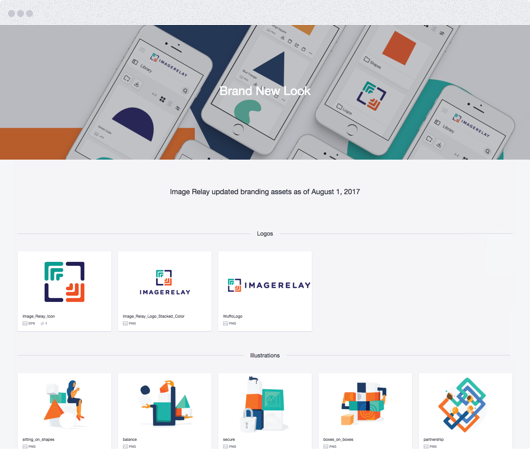 Logos, colors, images, and other brand attributes all in one place, organized, and presented in a way to make using and sharing easy and engaging. Share your brand Collection with your team, your agencies, or outside partners, and keep everyone updated when you make changes. We don’t need to tell you how much work goes into creating campaigns or launching a new product. After spending weeks, months, or even longer crafting your campaign, creating all your assets, and editing and refining the message, you’re left with a lot of stuff that needs to be organized and shared. With Collections, all of that work can be organized in a simple and compelling way. 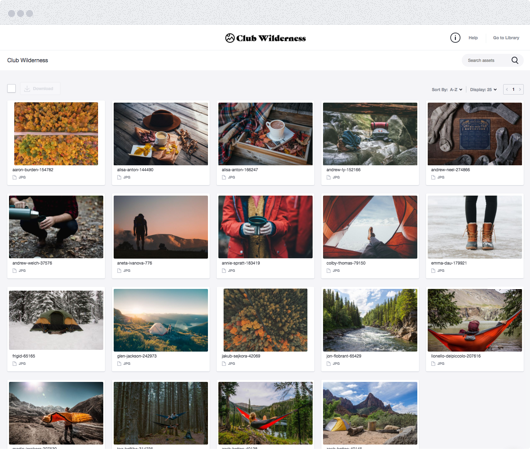 Collections themes allow you to brand the Collection how you want and provide the titles and descriptions that make sense. Use a theme to organize different aspects of the campaign. For example, keep all the product photos in one area and all the supporting images in another. Want to swap out a photo the day before launch? Your agency partners will get that notification automatically using Collections.